The Citroen C4 Cactus has been around long enough to be considered part of the UK furniture, but it’s showing little sign of blending in. It’s all about the Airbumps, which – much like that famous spread – you’ll either love or hate. We’re testing the super-frugal BlueHDi 100 diesel, in mid-spec Feel trim, along with the optional Airdream Pack. 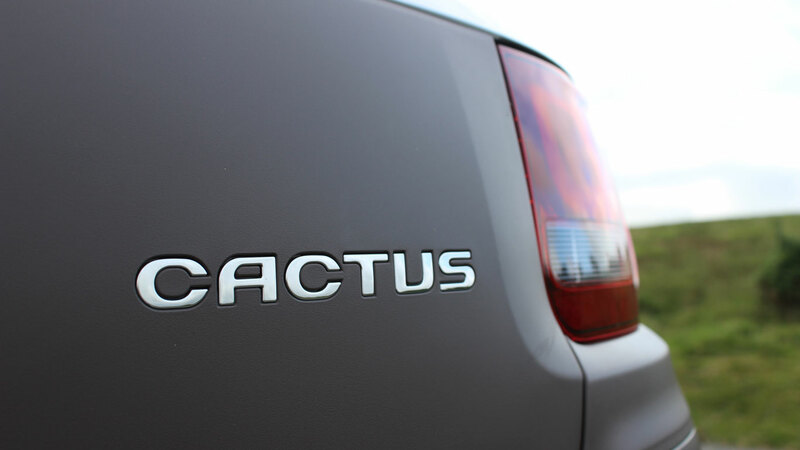 The Cactus is one of those annoying cars that doesn’t slot into an established segment. The C4 part of the name is a red herring, because it’s actually based on the smaller Citroen C3, although it does have the same wheelbase as the C4. Having spent some considerable time with the Cactus, we’d conclude that its rivals include the Nissan Juke, Renault Captur, Dacia Duster and Peugeot 2008. 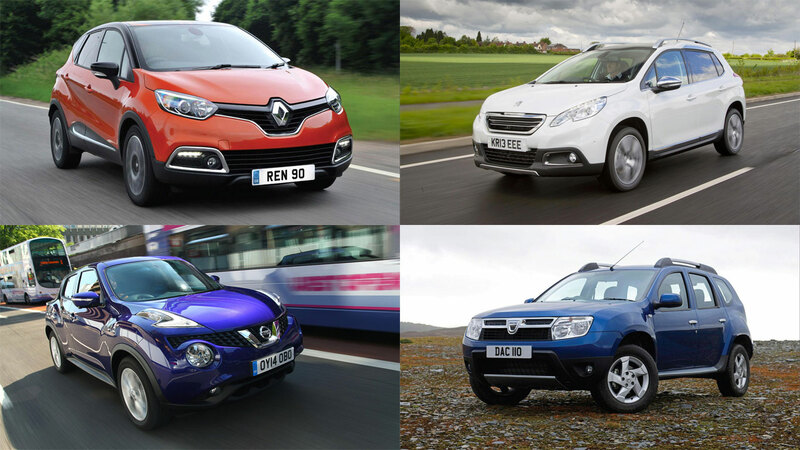 In all cases, they offer something different to a standard supermini. And there’s a definite sense that you’re getting a little extra for your money. The C4 Cactus is offered with a choice of PureTech three-cylinder engines and BlueHDi diesels. 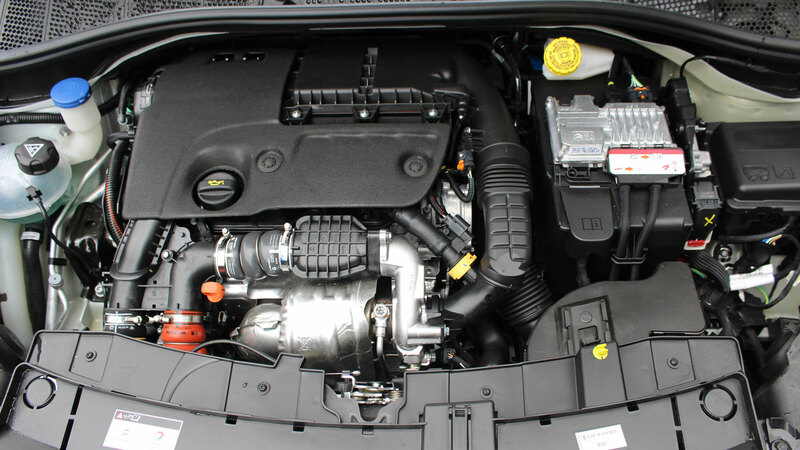 On test here is the 1.6-litre BlueHDi 100, developing 98hp at 3,750pm and 187lb ft of torque at 1,750rpm. Top speed is a claimed 114mph and the 0-62 time is a leisurely 10.7 seconds. With figures like that, you wouldn’t expect the Cactus to offer whippet-like performance, so keep that in mind, because Mr Bump is no greyhound. Rapid progress requires patience and many shifts through the five-speed gearbox. It can also be a tad noisy, especially when worked hard. Different, it’s definitely different. Remove the badge from the flat-bottomed steering wheel and you’d still know you were driving a Citroen. Purists will bemoan the absence of Citroen’s legendary hydropneumatic suspension, but the Cactus still manages to offer better ride quality than the vast majority of cars on the market, especially at this price point. Crucially, this Cactus Feel is equipped with the eco Airdream Pack, a no-cost option that exchanges alloys for 15-inch steel wheels and hubcaps. We’re convinced this provides a superior ride quality, even compared to the rest of the Cactus range. You’ll also experience a fair amount of lean when cornering, not too dissimilar to famous Citroens of old, but the Cactus will grip until the Charolais cattle come home. Well, at least until the tyres start screaming for mercy, at which point you’ll back off. In the Cactus, everything just seems to gel. The steering is lacking in feel, but its lightness only serves to add to the experience. Shifting through the gears is similarly vague, but you soon learn to live with it, or indeed love it. Overall, it feels playful. If you’re after precision, look elsewhere, but it’s you who will be missing out. The mid-spec Feel trim level comes with 16-inch alloy wheels as standard and, when powered by the BlueHDi engine, offers 83.1mpg and 90g/km CO2. However, tick the box marked ‘Airdream Pack’ and the economy rises to a remarkable 91.1mpg, with the CO2 dropping to 82g/km. Sure, you’ll have to live with 15-inch wheels, but there’s something wonderfully French about that. 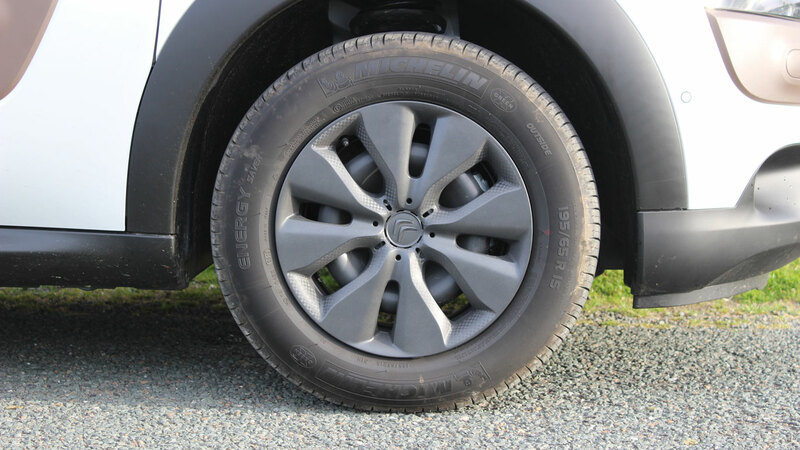 Crucially, the 15-inch wheels are standard on the entry-level Cactus Pure, but this is a petrol-only trim level. We’d thoroughly recommend the Airdream Pack, as the tasteful wheel trims do not give the appearance of a poverty-spec motor. A word of warning, though: even with the Airdream Pack, we’re only seeing between 55 and 60mpg – quite a way short of the official figures. Forget the Airbump panels for a moment, which we admit is quite tricky, and the standout feature of the Cactus is the interior. This is an area where Citroen has had to keep costs to a minimum, but somehow it still feels like a special place. The touch points feel like quality items, and by placing the passenger airbag in the roof, Citroen has been able to include a huge luggage-inspired glovebox. The door bins are large enough to carry a big bottle of water, while the shelf immediately in front of the USB port can just about stretch to an iPhone 6 Plus. But it’s not all good news, as the back-seat passengers might not appreciate the pop-out rear windows. 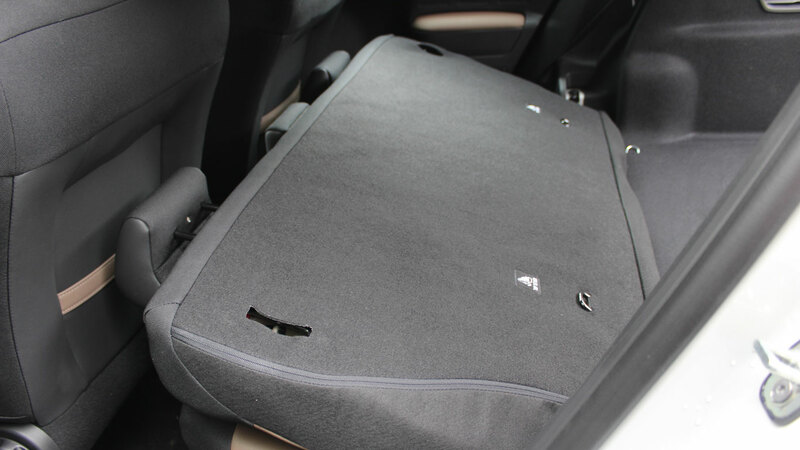 And while 358 litres of boot space is adequate for this sector, the lack of a split-fold rear seat is an oversight. Fortunately, some newer models are being delivered with a family-friendly 60:40 split. 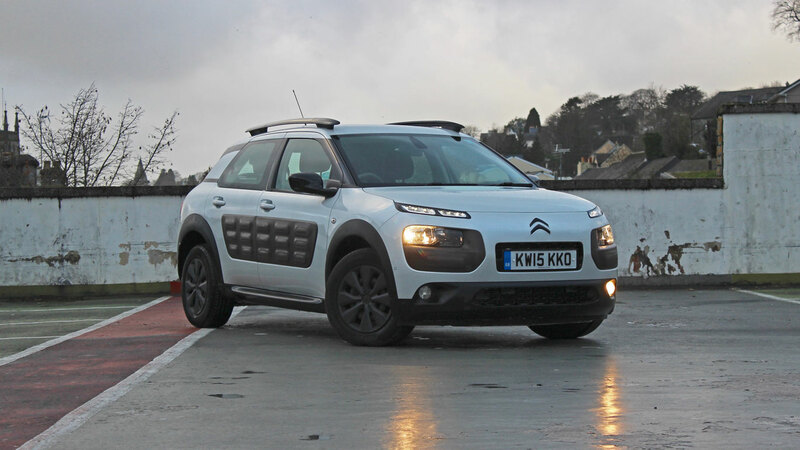 The Citroen C4 Cactus received a four-star Euro NCAP safety rating, scoring well across the board, but marked down – perhaps predictability for a budget-conscious car – for its safety technology. Hill-start assist is standard across the range, as is emergency brake assist, tyre pressure monitoring, LED daytime running lights and two ISOFIX points in the rear. Oh, and those Airbumps are designed to protect your Cactus from nasty car park scrapes and dents. This Citroen laughs in the face of runaway shopping trolleys. Prices may start at a headline-grabbing £12,990, but the entry-level Cactus Touch does without air conditioning, Bluetooth and a rear parcel shelf. You’ll also discover you’re limited in terms of options, leaving you with little choice but to upgrade to Feel or Flair trim. Unless you really need an automatic, we’d avoid the ETG transmission, which is a shame as we really like the idea of a full-width sofa-style front seat. The BlueHDi diesel engine is perfectly suited for those who cover long distances, but the PureTech petrol is perhaps more in keeping with the joie de vivre of the Cactus. Oh, absolutely. 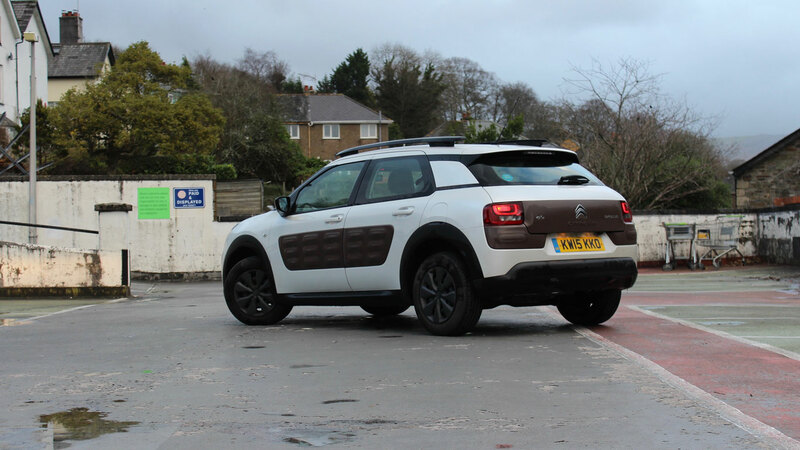 The C4 Cactus divides opinion, but our experience suggests there’s more love than there is hate for ‘that funny looking car with the bumps on the side’. With some must-have options, the price edges a little too close to £20,000, but you’re unlikely to feel short-changed. You can even have some fun choosing between the various colours, such as Hello Yellow, Deep Purple and Jelly Red. 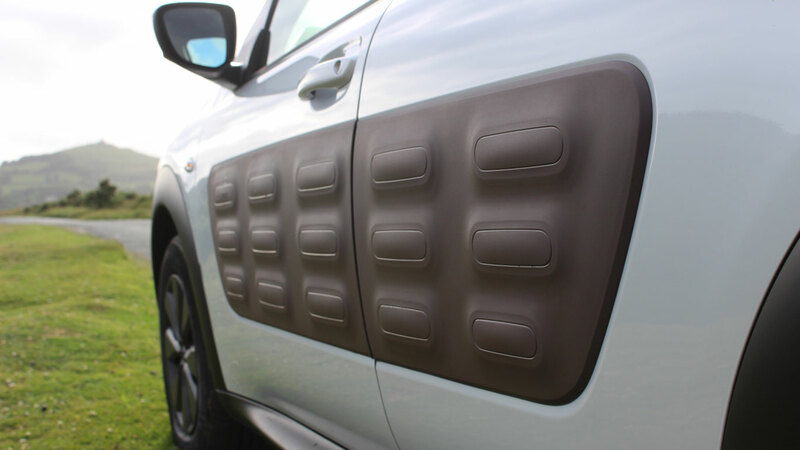 Even the Airbumps come in three different colours: Stone Grey, Dune and Chocolate. 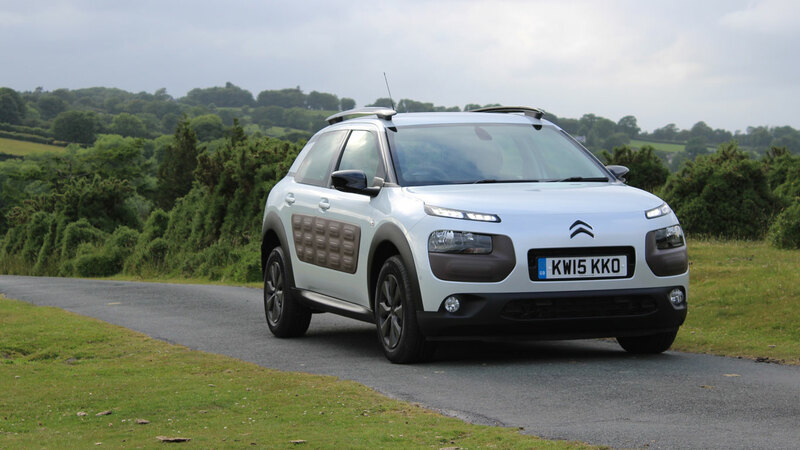 It’s not as customisable as a DS 3, but there’s enough on offer to make the Cactus your own. 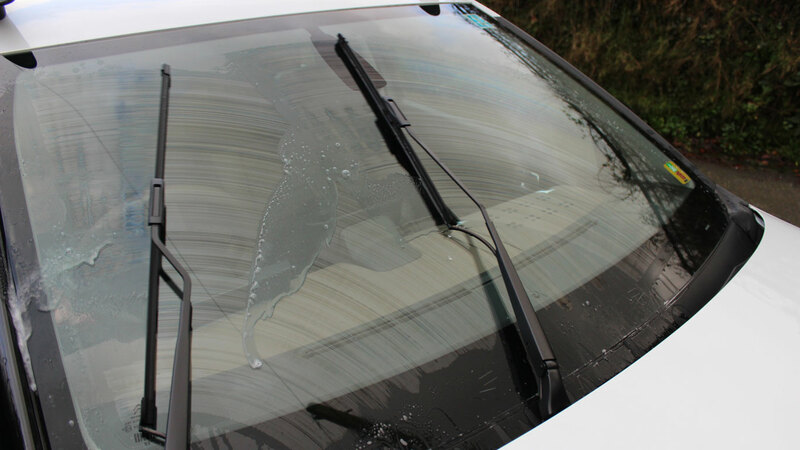 The Citroen C4 Cactus features Magic Wash, in which the windscreen washer nozzles are moved from the bonnet and built into the wiper blades. By using exactly the right amount of screen wash, Citroen claims it uses 50% less fluid than a conventional system. We’ve had plenty of time to test it and can confirm it works very well.